What do Walt Disney, Thomas Edison, Steve Jobs, JK Rowling, Henry Ford and Oprah Winfrey all have in common? 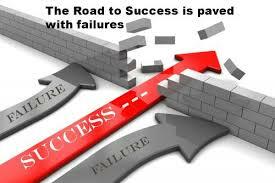 Before achieving amazing levels of success in their respective fields, they all experienced varying levels of failure, including being fired, losing large amounts of money and dealing with countless rejections. So often in life, it’s not what happens to us that is important, but how we choose to react and respond. This lesson was reinforced for me in 2008 when I discovered that my business partner had fraudulently robbed the business of over $500K by taking money from the business, not paying taxes and so forth. He used the money to prop up his own failing businesses, and in the end went bankrupt anyway. I found myself with an enormous debt of nearly $750K by the time penalties and interest were applied and staring down two equally unappealing choices – declaring bankruptcy or trying to repay such a huge amount of money. In the end, there really was no choice – my business, my problem, despite the circumstances of how we got there. So my wife and I sold our family home and did everything we could to pay down the debt. We struggled through the global financial crisis and devastating personal and family tragedies. And then, after working and working, we made it through. At the beginning of 2015, I signed off on an amazing equity raise with one of our businesses. From a start-up IT business in 2006, it had grown to be the largest of its kind in Australia. 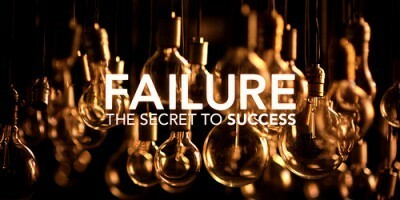 Nobody likes to fail, there’s no doubt that it’s an unpleasant life event. But the risk of failure should be acknowledged as an accepted part of taking a risk. An important part of moving beyond a failure – and hopefully using it as a stepping stone to a future success – is taking the time to analyse what went wrong and how you can learn from the experience. It’s also really important to make sure your team know that the process of reviewing a failure isn’t about finding someone to blame. It’s about identifying the things that can be done differently in the future and using the experience to set plans and goals that will allow you to move forward. As Winston Churchill said, “Success is not final, failure is not fatal: it is the courage to continue that counts.” And that’s the most important element in turning a failure into a success – having the courage to move beyond the hit to your pride and to try something different. The only true failure comes when you give up trying. Do you have a story to share about bouncing back from failure? Or are you struggling to dust yourself off and try again? We’d love to speak about how we could help your business to move beyond this blip into success. Call Bx on 1300 068 229 or find out about our Business for Life Program. Why Are So Many Small Businesses Failing? Want to Accelerate Your Business? Outsourcing Could be the Secret. Are you Harnessing Social Media for your Business? Should you bother with email marketing for your business? nashri on Could Outsourcing be the Secret to Accelerating Your Business Growth?